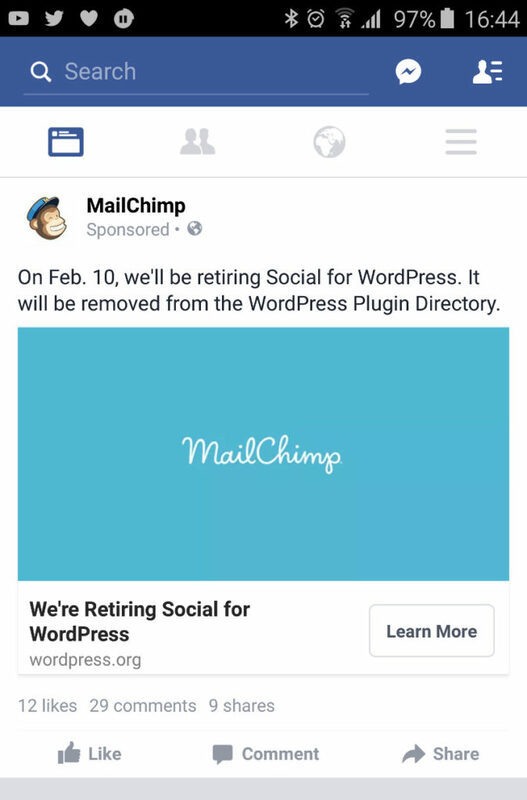 I was browsing Facebook when I couldn’t sleep a few days ago, when I saw a sponsored ad from a company I follow – Mailchimp – announcing they are closing the Social plugin. This disappointed me, as I use Social (on my personal blog, as well as Wrestling Betting), so I’m gutted it’s being discontinued. I’m also a bit miffed that it was a sponsored ad and there wasn’t a blog post or anything announcing it, especially with the promise of how it is being discontinued – it’s being taken off the repository. Anyway, it’s a free plugin, and once again free plugins are free so you cannot expect much, though it does make me question the validity of free plugins, particularly when businesses get behind plugins for exposure. Eventually they shut down when the exposure benefit ends. Social is by no means a small plugin (with 40,000+ installations), so it’s sad that they end up abandoning said plugins. Nevertheless, I’d thought I’d write a post to try and give a few ideas of what I use and recommend for alternatives. The first plugin I’d recommend checking out would be Jetpack. It’s what I use on this here blog. It is clean, it does the job, and has all the most common networks to share with. You can control what is written (alas, it’s the same message to all your networks), but overall it’s pretty good. Plus it’s backed by Automattic, so it’s not going anywhere. Alternatively, you don’t have to actually use a plugin, you can use a service. Once such service is using IFTTT. Again, this isn’t perfect (it allows less control of the message than JetPack), but you can schedule the promotion over time. I talked about it on this blog here using Buffer, IFTTT & Remember The Milk. 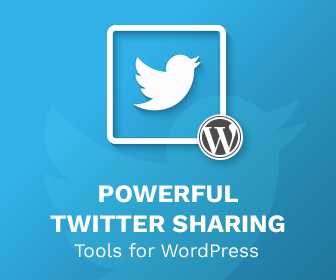 The other really useful function is the ability to pull the comments from social media (including Tweets and Facebook Comments) into WordPress. This is incredibly useful and functionality that is greatly missed. I’ve not found anything that’s perfect, but found these two things that could be useful. This appears to replicate the Facebook Comments import. Although I’ve not tested this properly, it does appear to work. It appears to be updated regularly and well supported. So look at that. Commenting via Tweets isn’t quite as common as I could only find this plugin. I trust this as the developer – Tom McFarlin – has a great reputation in the community. However it hasn’t been updated in a while, and it doesn’t appear to do automated tweets. Of course, being a GPL plugin, Social can be forked. As such I’ve put the original plugin on Github. You can view the repo here as pointed out by Mike Little though in the comments, the original Crowd Favourite repo is still live here. I’ve forked it though as well which you can see that repo here. I’m not supporting it though, merely hosting it. Though with 40,000+ downloads, it could be a nice project for somebody. This post will be updated as time goes on and I’m keen to find alternatives for people. If anybody has any recommendations for plugins that match Social, please leave them in the comments. I’m somewhat disappointed this plugin is being abandoned too. I expect it’s because Alex King did most of the work on and not much development/maintenance has been done recently (https://github.com/crowdfavorite/wp-social/graphs/contributors). I noticed that your github repository seems to be just a commit of the current release of the plugin. Was there a reason you didn’t fork the original from crowd favourite’s repo (https://github.com/crowdfavorite/wp-social)? Forking from there gives you all the history with it’s decisions implied or stated in the log messages, etc. There appeared to be a bit of development on the Subversion that appeared later – https://plugins.trac.wordpress.org/log/social/ – than the repo you linked. However it appears it was merely announcing the sunset date. I’ve forked both now, and will update the post. Thanks!